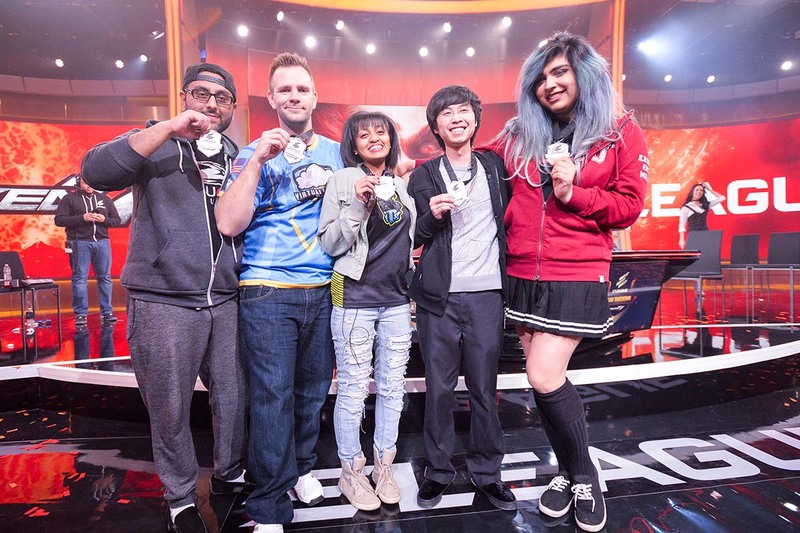 As the dust settles after ELEAGUE’s TEKKEN Team Takedown, the TEKKEN community is still glowing from this historic event. Clutch Rage Arts, dramatic slow-motion finishes, and results so unbelievable that internet monsters claimed it had to be scripted were common themes throughout. Also, a female player so dominant that she destroys a team full of Top 4 TWT players? An online warrior taking out top players offline? All of this happened in just two days of action-packed gameplay here in Atlanta. Equally rare, fans got to watch a high-profile FGC team tournament with top players from across the USA. While this is common among other esports, it is not something that you typically find in the fighting game community. This is normally due to the 1-on-1 nature of fighting games. Throw in FGC personalities like the tirelessly energetic Pokchop and it is guaranteed to be a fun ride. Captains Cuddle_Core, NycFab, Pokchop, and newly sponsored Red Bull athlete Anakin chose their teams in reverse ranking order. Cuddle_Core had not competed much in 2017, so she chose first, while Anakin, who had won multiple tournaments in 2017, chose last. Once the snake draft was done, it was clear that Anakin had somehow assembled the strongest team, despite being the last pick. On the other end, while Cuddle_Core’s first choice was arguably the best player in the USA, Jimmy J. Tran, most competitors considered her team the weakest. In the Captain’s Challenge, the four captains battled to choose the team that they wanted to face off against. This pick was critical as the tournament bracket was single elimination. This was where we got our first glimpse of Cuddle_Core as she disposed of Anakin quickly in a surprise upset. No one expected her to win in such dominant fashion, but she would later fall to NycFab, who decided to pit his team against Team Pokchop. The Captain’s Challenge set up Team Cuddle_Core against Team Anakin. Arguably, it was the weakest team against the strongest team. To make matters worse for Team Cuddle_Core, their star player Jimmy J. Tran also described their team as “not the best,” inadvertently motivating his teammates to prove themselves. As the action progressed, Kodee took out Speedkicks, but Anakin came up to eliminate him and put his team up 2-1. With Anakin up and her team behind, Cuddle_Core confidently decided to put herself up against Anakin again. She had beaten him in the Captain’s Challenge in one game, but this time around, it would be first to win two games. In the first game, she beat his main character Jack-7 in 3 straight rounds. Anakin, believing perhaps that she was too prepared for that character, got the crowd hyped by picking the new DLC character Geese Howard! Cuddle_Core was prepared for that matchup as well, though, and beat him in another 3 straight rounds! Everyone was stunned as she had just taken out one of the most dominant players in the country in 6 straight rounds. But she wasn’t done. She then eliminated the rest of his team one by one! Anakin, NGObscure, Joey Fury, and Spero Gin all fell to Cuddle_Core as she pushed her team to the Grand Finals, without need of her star player Jimmy J. Tran! It was an incredible performance that will be remembered for years to come. On the other side of the bracket, we had Team NycFab vs Team Pokchop. Fab had assembled a team designed for the team format, with wildcards to throw multiple wrenches at the opponent. Rickstah, using his favorite character in Akuma, was able to take out Mateo and Pokchop. Captain Pokchop, down 0-2 in the set, decided to call up Shadow next. A questionable choice considering he had Waygamble on his team, who has a proven record against Rickstah. Shadow, mostly known as an online player, had been making strides at recent offline events, but was still considered a mid-level player. Shadow stepped up and went on a tear, eliminating the entirety of Team Fab! An absolutely unbelievable showing, after which, no one will ever question or sleep on Shadow in a tournament again. This set up the grand finals between Team Cuddle_Core and Team Pokchop. After Cuddle_Core’s impressive run, we began to wonder if we would see Jimmy J. Tran play in the grand finals! However, with a strong start from Mateo and Shadow, who added another 3 wins to his reign of terror, Team Pokchop jumped out to a commanding 4-1 lead in the set with only Jimmy J. Tran left. For Team Cuddle_Core to win, Jimmy J. Tran would have to beat the remaining 4 players as well as whoever they put up with the Resurrection rule. He took out 3, stopping Shadow’s destruction and setting up an anchor versus anchor finale. Lil Majin hadn’t been seen in months, but in a bit of an upset, defeated Jimmy J. Tran, forcing Cuddle_Core to use their Resurrection on Jimmy J. Tran. This wouldn’t be easy, but Jimmy J. Tran pulled through and took out Majin, sending it to the absolute final set. Of course, it would have to go down to the wire with both teams using their Resurrection on their anchors. Despite Lil Majin’s best efforts, Jimmy’s clutch and adaptation proved too strong. Jimmy showed everyone why he is considered the best in the USA, winning the event for Team Cuddle_Core! Among so many great performances, the biggest disappointment has to be the newly sponsored Red Bull athlete, Anakin. He lost in the Captain’s Challenge and, despite assembling the strongest team, didn’t make it past Team Cuddle_Core in the opening match of the tournament. 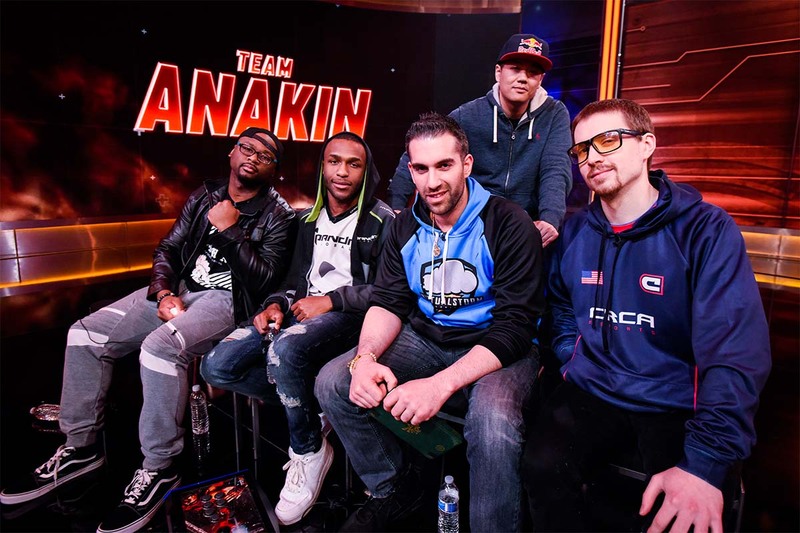 Sometimes, the added pressure of a new sponsor can get to a player, but Anakin is a long-time veteran of the game and I expect we will see him bounce back soon! This ELEAGUE TEKKEN Team Takedown was a historic event for everyone in the TEKKEN community. The stories and drama that unfolded here will be talked about for years. As a fan myself, I have been waiting for over a decade for TEKKEN to get the spotlight and I am proud to have been a part of it. I cannot thank ELEAGUE and BANDAI NAMCO enough for giving TEKKEN this opportunity and I am hopeful that TEKKEN will return to the ELEAGUE stage in the future. The TEKKEN action doesn’t stop here, though, as during the ELEAGUE broadcast it was revealed that the TEKKEN World Tour 2018 kicks off next Friday, March 16 in Atlanta, Georgia at Final Round. The tour will have stops around the world throughout 2018, culminating with the TWT Finals in Amsterdam. For more information on the tour, be sure to check out tekkenworldtour.com. Also, don’t forget to tune in Friday, March 16 at 1:30am EST on TBS for the first episode of our TEKKEN Team Takedown feature series. The four-part series will feature never-before-seen portions of the tournament, including the Captain’s Challenge and exclusive interviews will several of our players. You won’t want to miss any of the action!